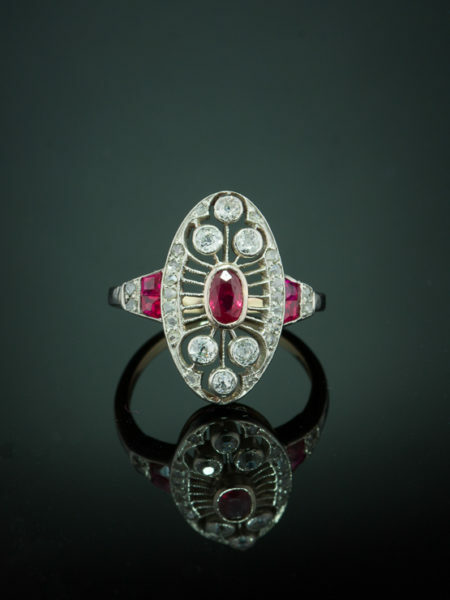 Known for its femininity, sentimental motif and symbolism Victorian era is also renowned for the excellent craftsmanship of its jewelry. 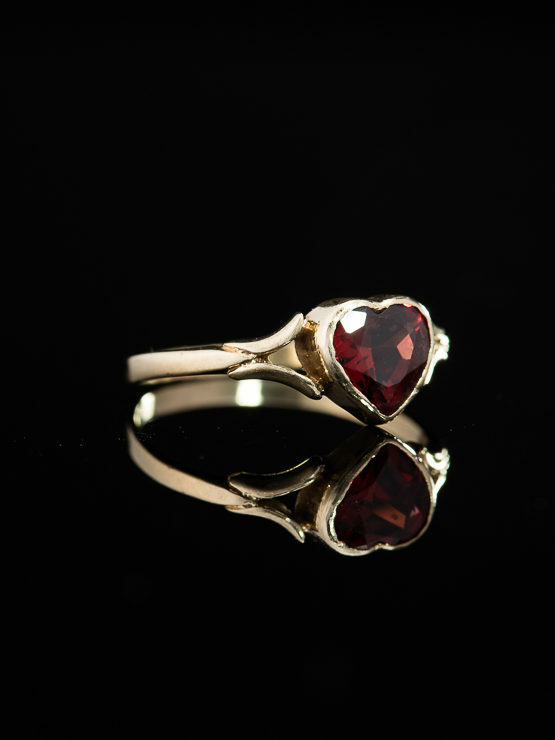 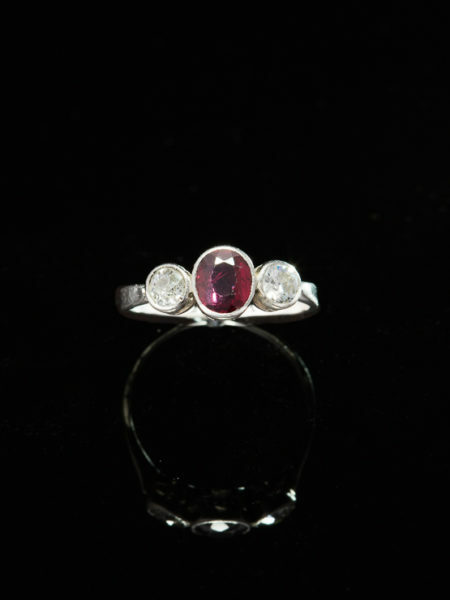 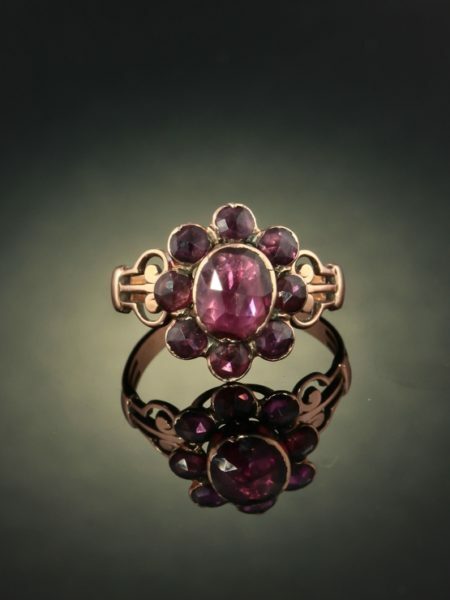 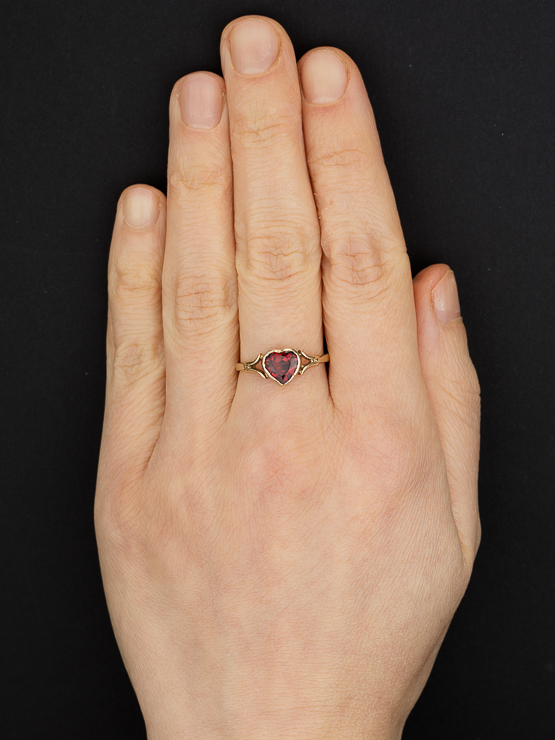 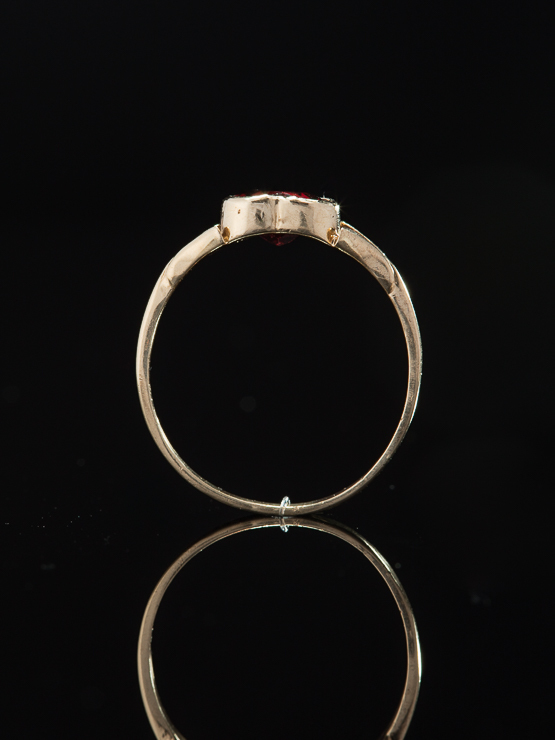 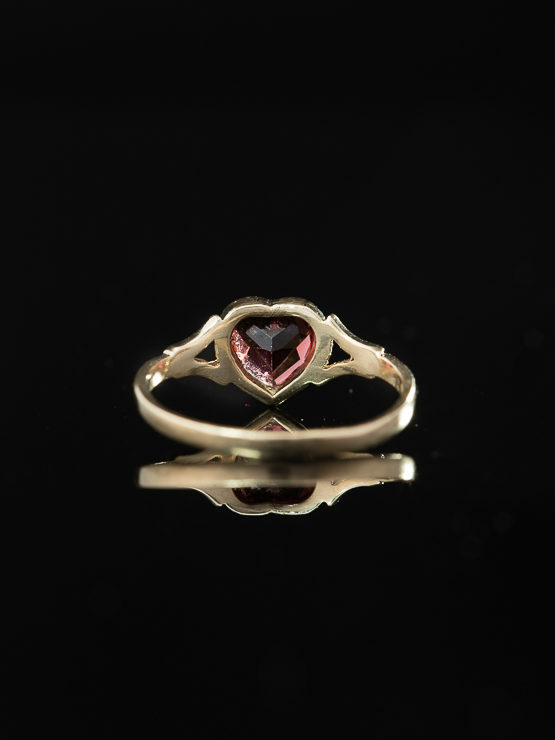 Reflective of the romantic feelings from late Victorian era is this lovely heart shape natural garnet single stone ring. 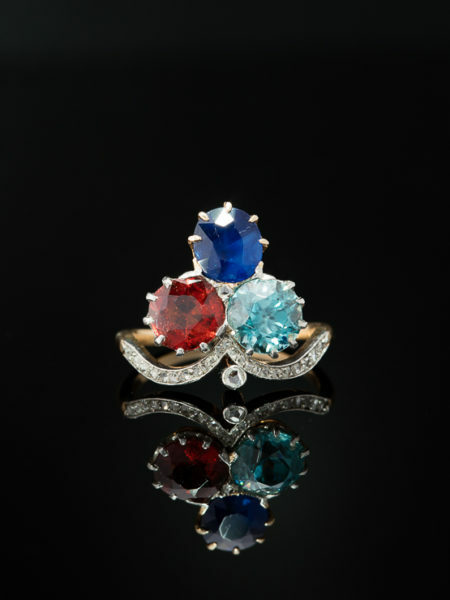 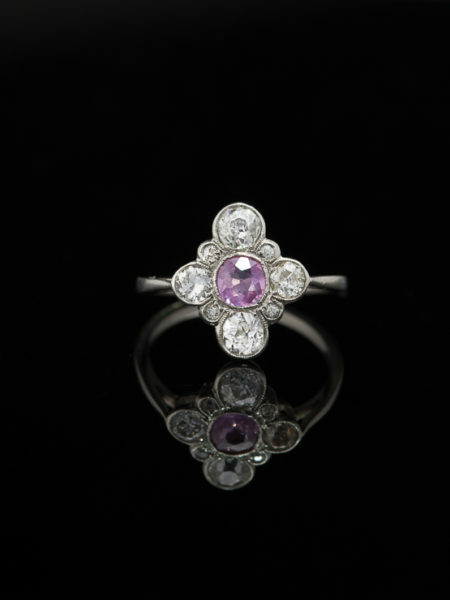 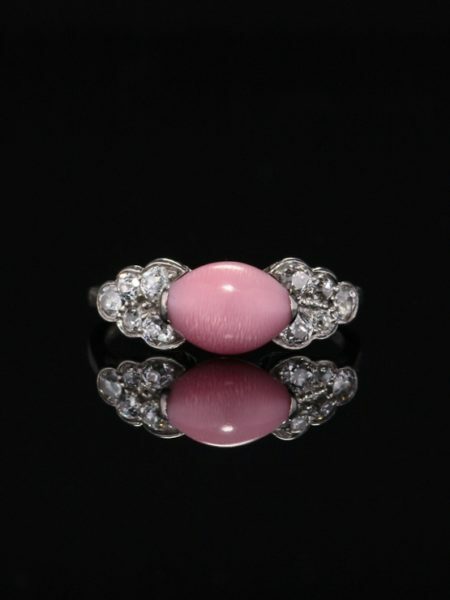 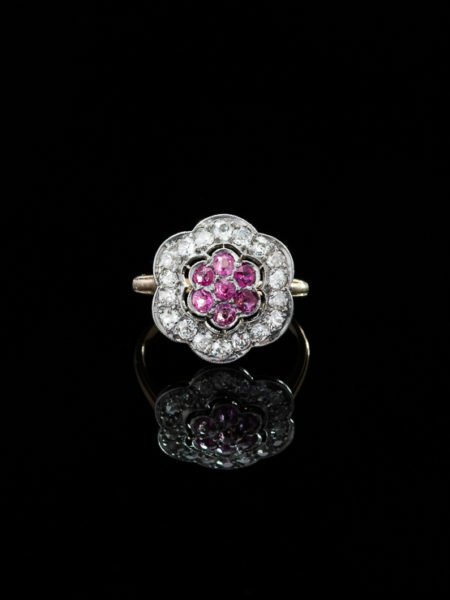 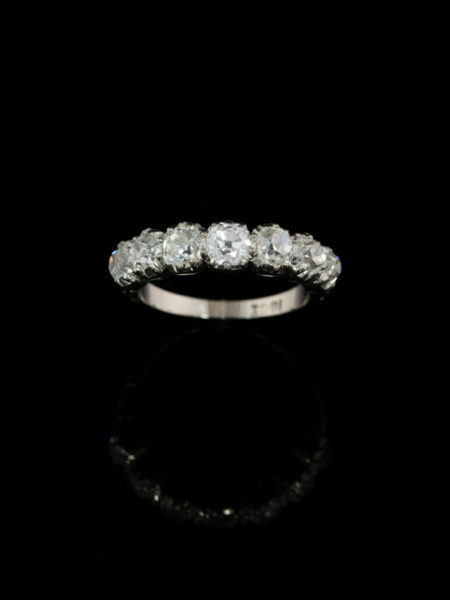 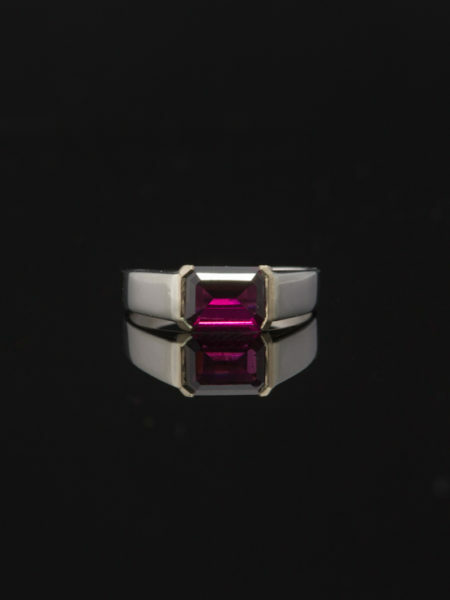 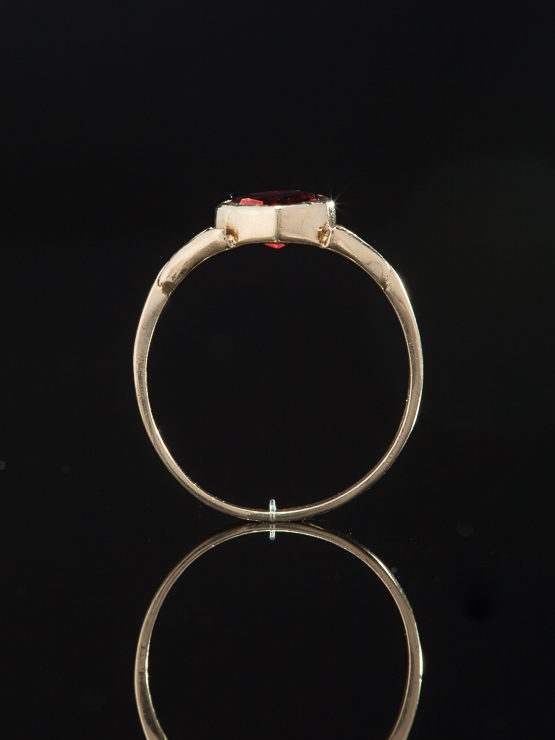 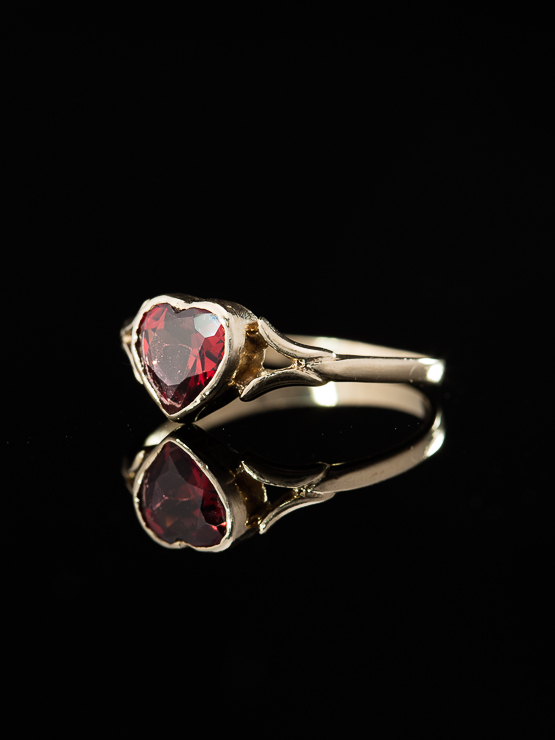 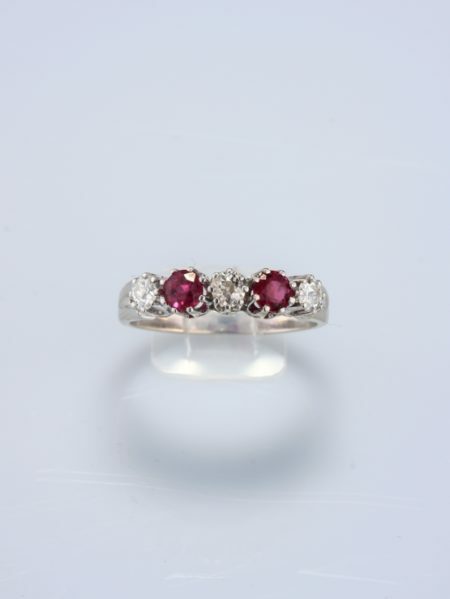 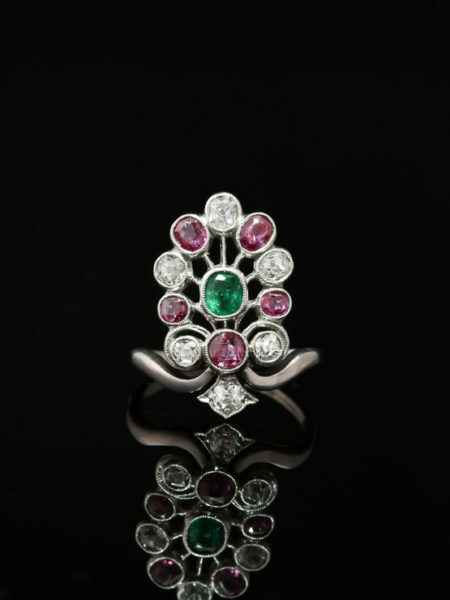 Charming and delightful glowing with deep red colour this ring brings history sentiment and drama. 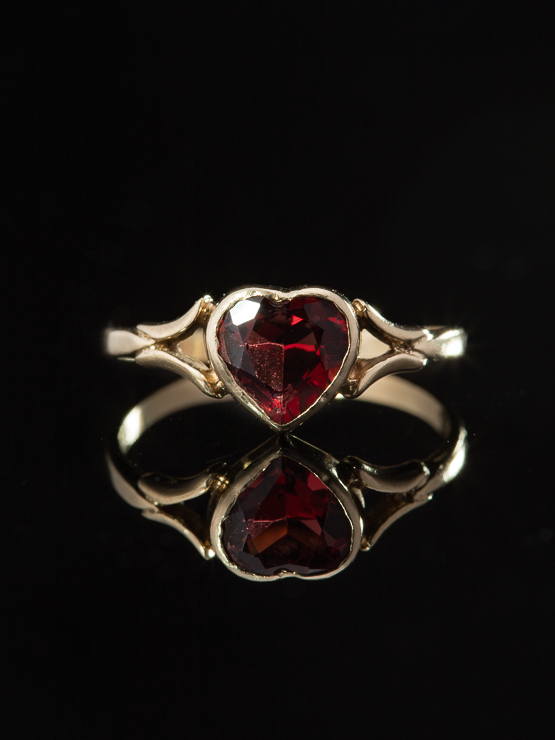 Glowing with passion is a heart faceted cut natural garnet of approx 1.90 Ct set in a shiny gold collet. 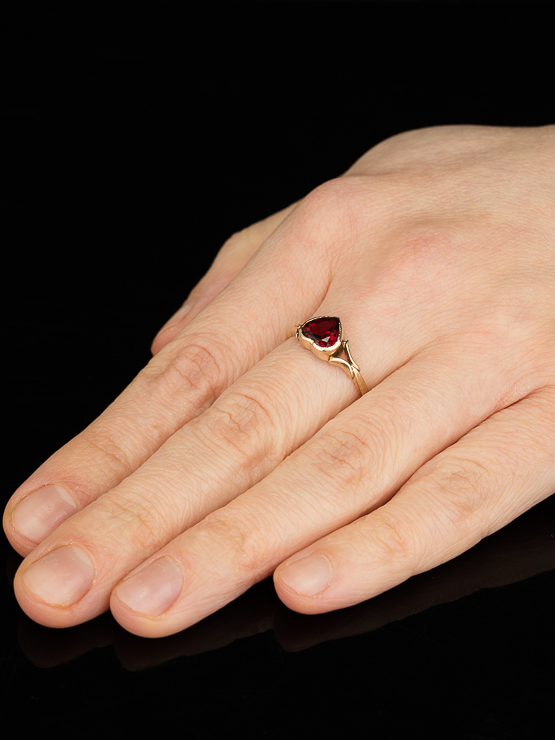 Victorian charm and sensibility reign with elegance in its balanced proportions, the vibrant red hued gem is beautifully paired with a setting of yellow gold with simple ornate shoulders culminating in a smooth shank. 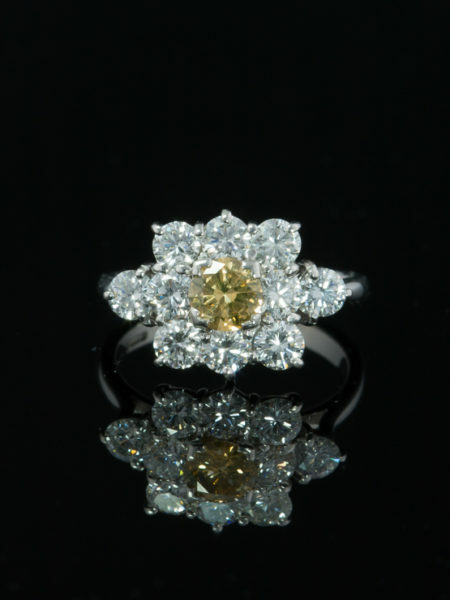 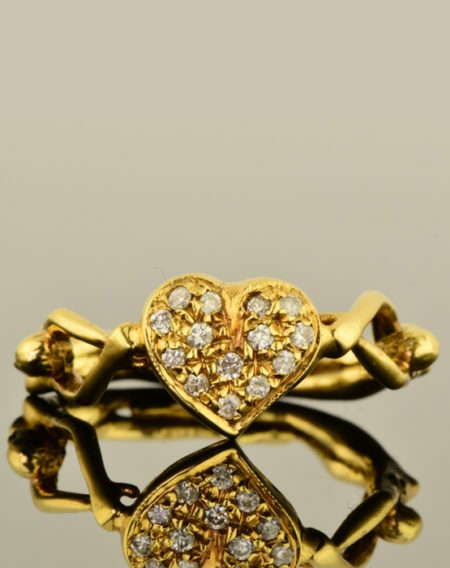 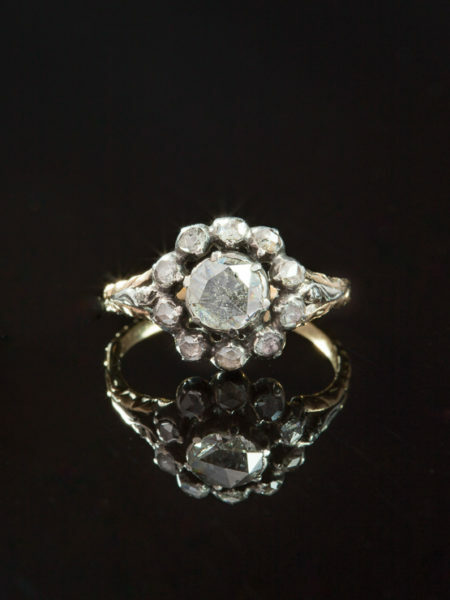 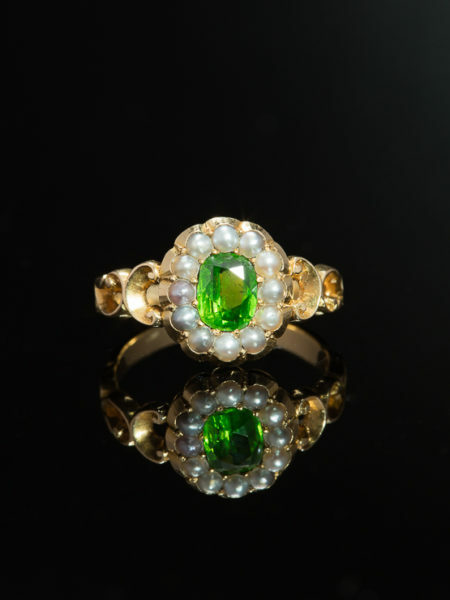 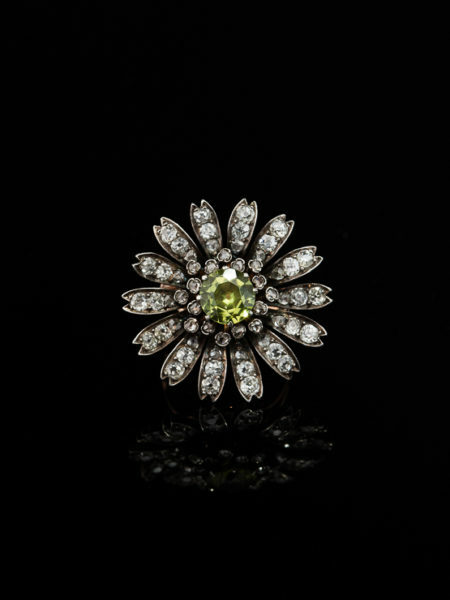 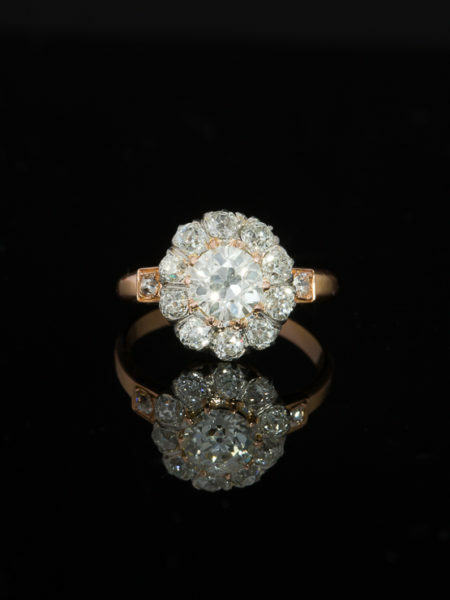 Artfully crafted in 9 Kt yellow gold in England by a master goldsmith during later years of Victorian era, marked. 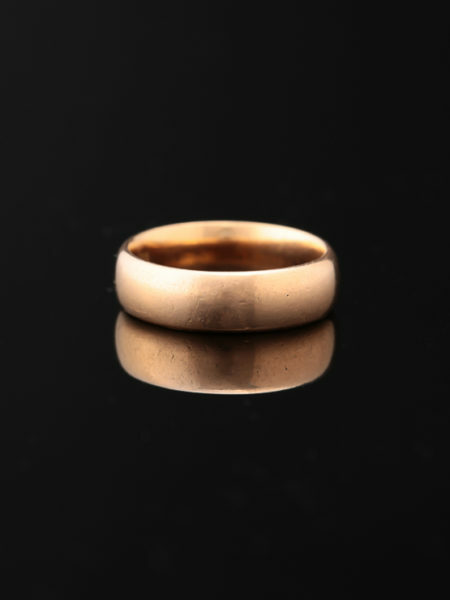 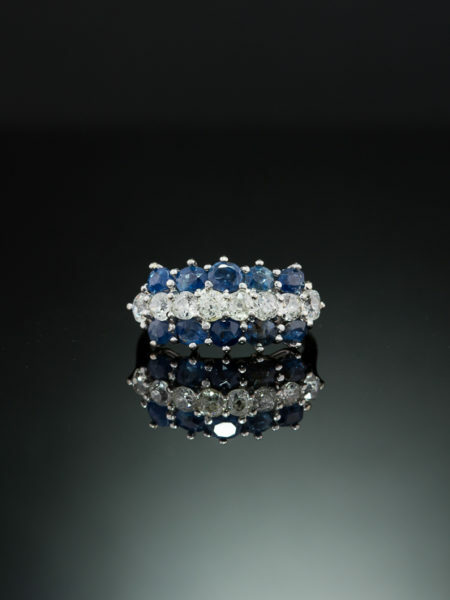 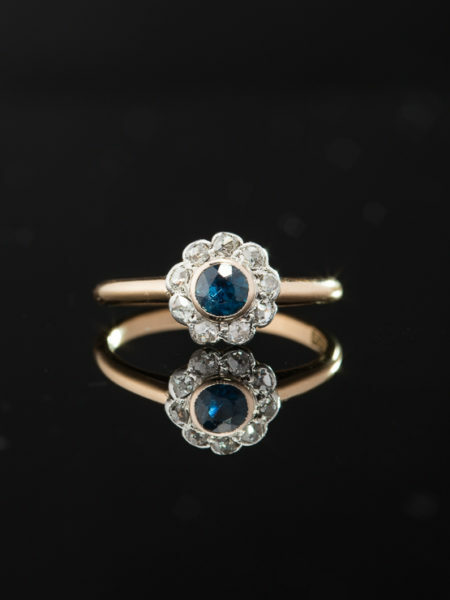 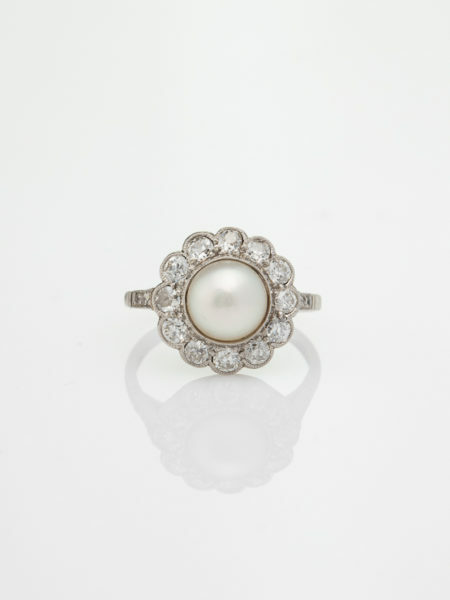 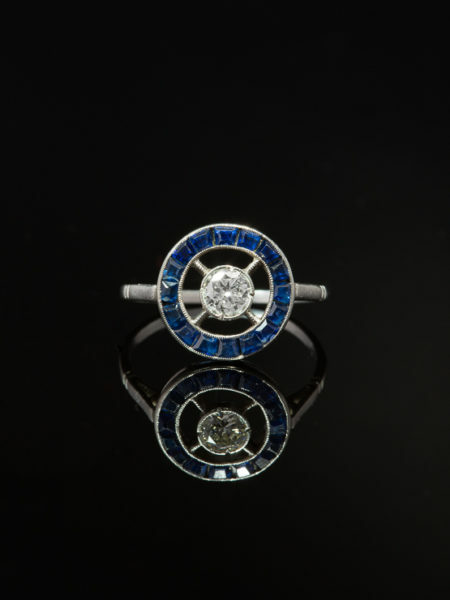 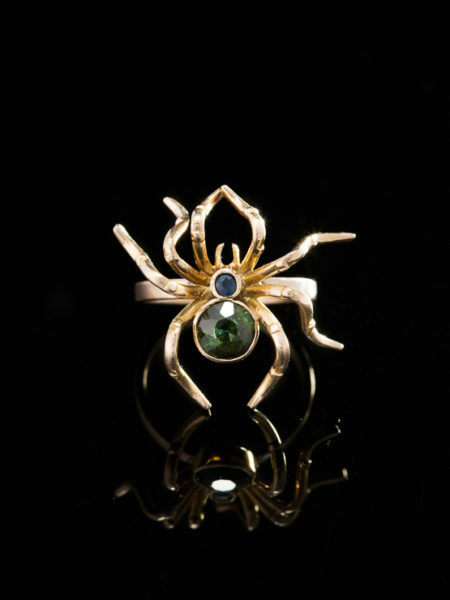 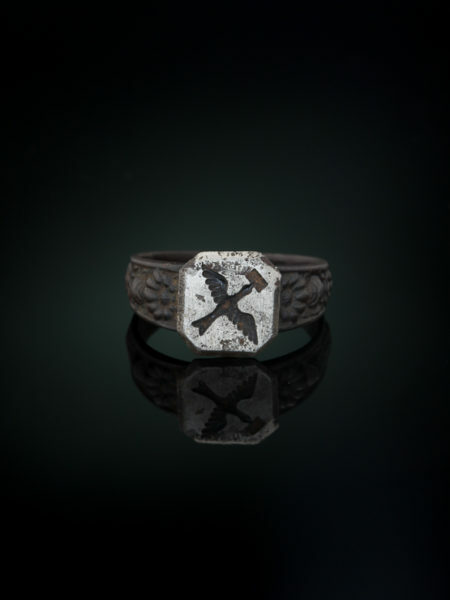 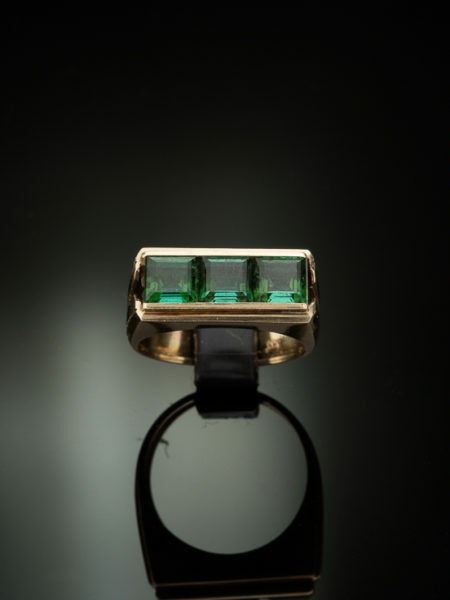 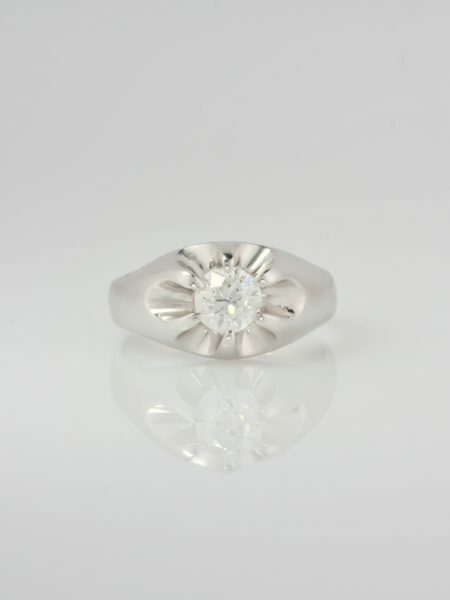 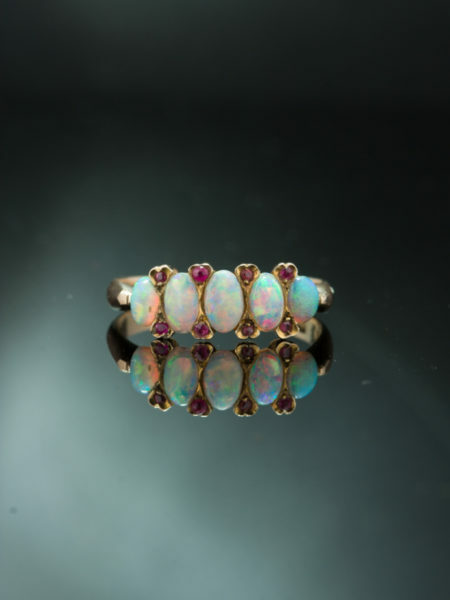 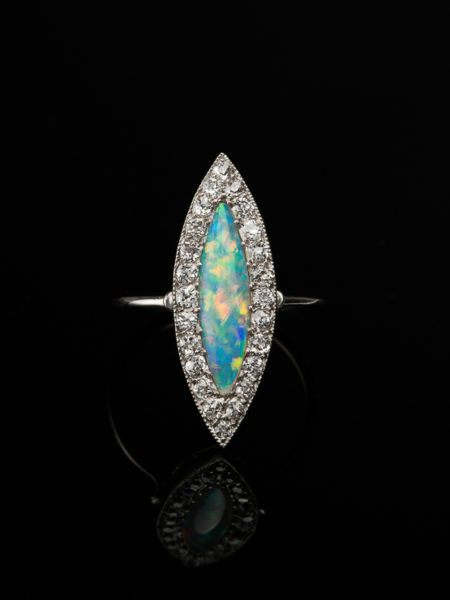 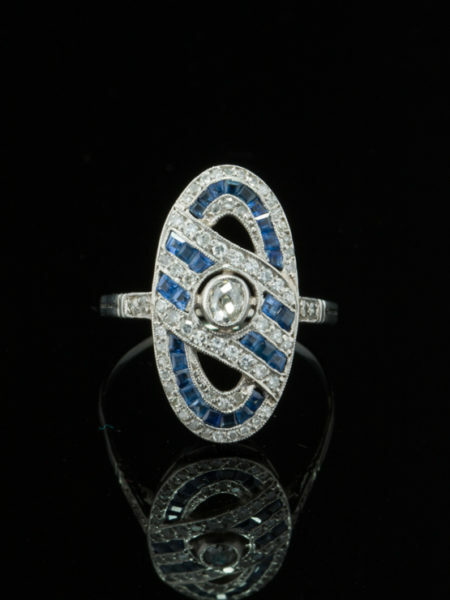 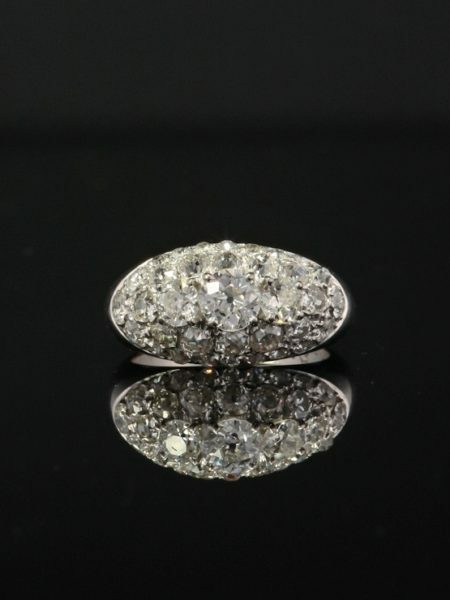 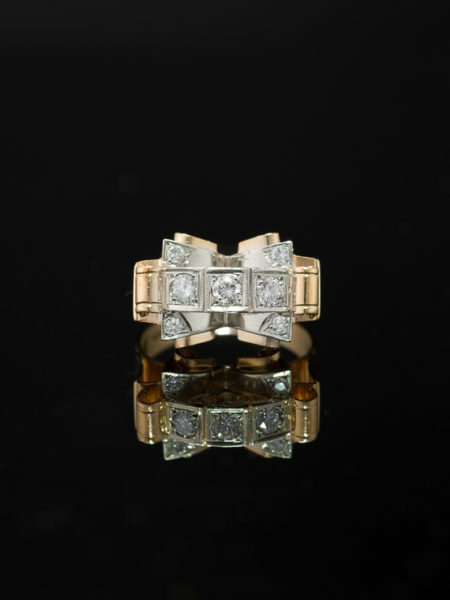 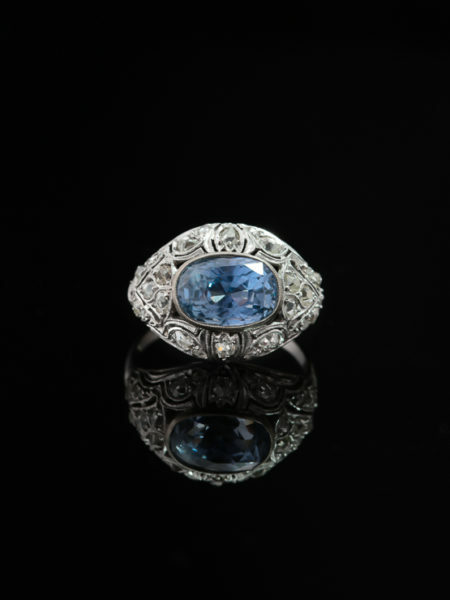 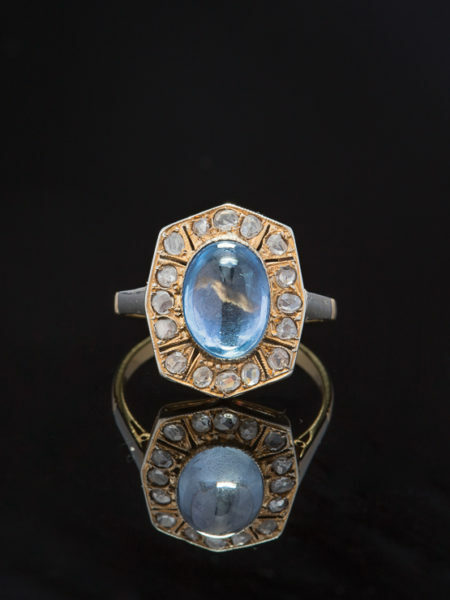 Delicate yet dramatic look, small in scale but powerful in meaning, these rings were never prominent or showy, meant to be worn on a variety of fingers, several on each hand received as gift or carrying special messages.